WASHINGTON, DC, July 12, 2011 (ENS) – Al Gore is mounting a new global campaign to convince people that climate change is real and to generate solutions. The former U.S. vice president, who became famous for his award-winning climate change documentary “Inconvenient Truth,” will kick off the campaign on September 14-15 with 24 Hours of Reality, a worldwide educational event streamed live online. In 24 locations from Mexico City to Alaska, from Beijing to London to Abu Dhabi, to New Delhi and Jakarta, the event will feature scientists, celebrities, business leaders and concerned citizens as well as Gore himself. The event will be broadcast live online over 24 hours, in 24 time zones and in multiple languages. The 24 Hours of Reality event will feature a new multimedia presentation, created by Gore, on the connection between extreme weather events and the climate crisis. All viewers of the event, online and in person, will be invited to take part in specific activities to help solve the climate crisis. The new campaign will include the more than 3,000 activists of The Climate Project who have been personally trained by Gore to present his “Inconvenient Truth,” slide show around the world. 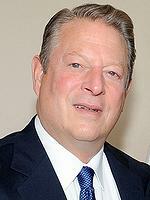 Gore has changed the name of his nonprofit organization from Alliance for Climate Protection to the Climate Reality Project and all future events will happen under the Climate Reality Project banner. The September event is the first in a larger, multi-faceted campaign to “tell the truth about the climate crisis and reject the misinformation we hear every day,” said the Climate Reality Project in a statement today. Gore compares these actions to those of the tobacco companies that spent decades denying that smoking causes cancer but eventually came to a multi-billion dollar legal settlement with 46 states. “Oil and coal companies are determined to sow denial and confusion about the science of climate change, ignore its impacts, and create apathy among our leaders,” Gore’s new group says in a statement announcing the Climate Reality campaign. 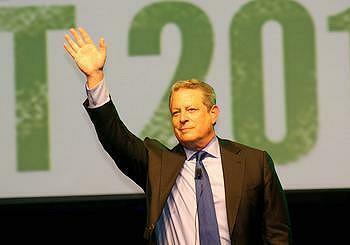 To validate his concerns about climate change, Gore cites the worldwide scientific consensus. “In the latest and most authoritative study by 3,000 of the very best scientific experts in the world, the evidence was judged “unequivocal,” he wrote.